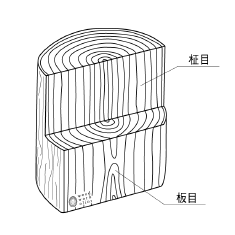 無垢材と合板の違い　Difference between solid and plywood. 板目と柾目　Cross grain and straight grain. since 2008-10-09 / Copyright 2008 wood work olior. All Rights Reserved.